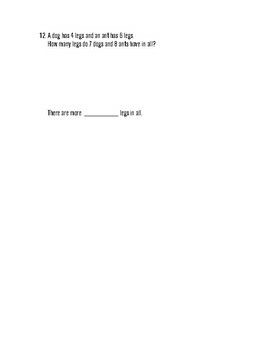 This assessment can be used as a pre-test, mid-unit assessment, study guide, or post-test. 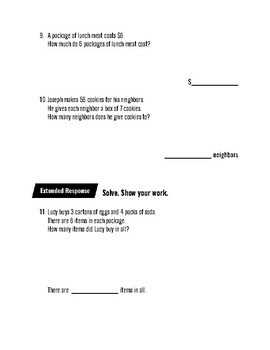 Questions correspond to Math in Focus, grade 3, chapter 6 curriculum. 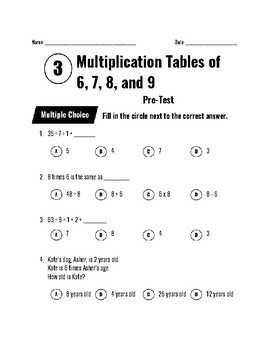 However, multiplication facts 1-10 are addressed, with emphasis placed upon multiplying by 6, 7, 8 and 9. 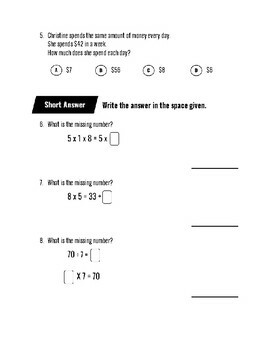 Assessment includes multiple choice, short answer, and extended response.